How do MN Dream Act and/or qualifying DACA students apply for benefits? Undocumented students can apply for state financial aid by accessing the online MN Dream Act - State Financial Aid application. To be eligible for the MN State Grant, the application must be submitted no later than the 30th day of the term. The results of the application can also be used to qualify for in-state tuition rates at the University of Minnesota Twin Cities and Duluth campuses. Students attending MnSCU campuses should also use this application to apply for state financial aid, but should apply for in-state tuition rates directly with the MnSCU campus. What is the MN Dream Act? The MN Dream Act (also known as The Prosperity Act) was introduced by Senator Sandra Pappas (SF723) and Representative Carlos Mariani (HF875) and was included in the omnibus Higher Education bill passed by the 2013 Minnesota Legislature and signed into law by Governor Dayton on May 23, 2013. When did the MN Dream Act take effect? All of the benefits provided by the bill were available to qualifying students for any term starting on or after July 1, 2013. What documentation will be needed? After the student submits the MN Dream Act application, the student will receive an email letting the student know the following information will need to be submitted to the MN Office of Higher Education to prove the student meets the requirements in the law. This information will only need to be provided the FIRST year the student applies. Copy of Selective Service card showing the student registered with the U.S. Selective Service (applies only to males 18 to 25 years old). If the student has not yet registered with Selective Service, the student should do so now. If the student has a Social Security number, the student can register online at www.sss.gov. Confirmation of registration will be sent to the student within two weeks. If the student does not have a Social Security number, the student should pick up a paper Selective Service mail-back form at the nearest U.S. post office or download the form here and submit it, along with all other documentation, to the MN Office of Higher Education. The MN Office of Higher Education will make a copy of the form and mail the original to the Selective Service System on behalf of the student. Eventually, documentation from federal immigration authorities verifying the student has applied for lawful immigrations status. The MN Dream Act states students will have to provide this document only if there is a federal process in place for them to apply for permanent legal status, which does not currently exist. So, documentation will not be required at this point. Do Deferred Action for Childhood Arrivals (DACA) students qualify for the MN Dream Act benefits? DACA students will qualify for benefits if they meet the criteria for the MN Dream Act. DACA students who don't meet the MN Dream Act criteria may still be eligible for state financial aid if they can meet at least one of the criteria in the state residency law used for financial aid after they have been granted DACA. For example, one of the criteria in the state residency definition is graduating from a Minnesota high school while residing in Minnesota, so the student would need to prove DACA was granted prior to high school graduation. DACA students will be required to submit proof of DACA. DACA students who do NOT meet any of the MN Dream Act or state residency criteria will NOT be eligible for state financial aid. What other documentation will be required to receive state financial aid? Students will need to submit copies of signed student and parent (if dependent for financial aid) federal 1040 income tax returns for the prior-prior tax year (tax year 2016 for the 2018-2019 academic year; tax year 2017 for the 2019-2020 academic year). W2 forms are not required for tax filers unless there has been a change in marital status since the federal return was filed. If the student's and/or parents' income was so low they were not required to file a federal tax return, they should submit a signed statement indicating they were not required to file a federal tax return, along with any W2 statements. These documents will be required each year the student applies and will be used to verify the family income provided on the application. Applicants who have attended college for three or more years prior to the academic year for which they are applying must also submit a copy of a college transcript from each college they have attended. Student copies are acceptable if they are up-to-date. How much will I receive from MN State Grant? Will it cover my tuition and fees at my college? Probably not. The MN State Grant award will vary based upon the student's financial situation, enrollment level and the price of the college attended. It is meant to be a supplement to the Federal Pell Grant, which is the main federal need-based grant program. Even though undocumented students cannot receive a Federal Pell Grant, the amount of Federal Pell Grant for which the student would have qualified must be factored into the MN State Grant award calculation. This means the MN State Grant might be fairly low for students from low-income families who would qualify for Federal Pell Grants. The MN State Grant award notice you receive from the MN Office of Higher Education will display the amount of your MN State Grant for each credit level. Here are sample State Grant annual (two semesters or three quarters) awards [.pptx] at different types of colleges for a student from a very low-income family. Will MN Dream Act or DACA students be eligible for any other type of state financial aid? Eligible DACA students with work authorization and Social Security numbers can be considered for State Work Study funding, which allows the student to earn money working on campus. Eligible MN Dream Act and/or DACA students can also apply for a Postsecondary Child Care Grant, which is a need-based grant to students with children in child care while they attend school. These programs have limited funding and are administered by campus financial aid offices, so students should contact the financial aid office at the college they attend after completing the online state financial aid application to complete further paperwork for those programs. 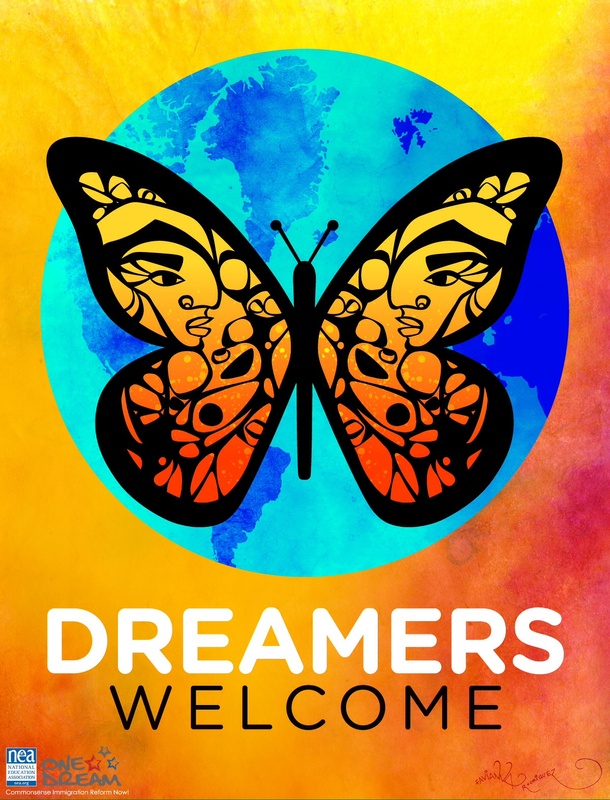 MN Dream Act and qualifying DACA students will also be eligible for tuition reciprocity benefits to attend a public college or university in North Dakota, South Dakota or Wisconsin. Any undocumented student can currently apply for a state SELF loan, which does not require the student borrower to have legal status, but does require a co-signer who is a U.S. citizen or eligible non-citizen. Are there deadlines for applying for state financial aid? To be eligible for a MN State Grant, the student must submit the online state financial aid application no later than the 30th day of the term. Deadlines for other state financial aid programs administered on campus are determined by the college the student is attending. Does meeting MN Dream Act criteria or establishing MN residency after receiving DACA mean I am guaranteed state financial aid? No. Financial aid programs have other requirements all applicants must meet, such as demonstrating financial need. It simply means these students are eligible to apply for and receive state financial aid on the same basis as documented students. Will MN Dream Act or DACA students be eligible for federal financial aid? No. The MN Dream Act is a state law that provides state benefits to Minnesota residents regardless of federal immigration status. Federal financial aid programs require students to be U.S. citizens or eligible non-citizens to apply for and receive federal financial aid.